Are you looking for a great DVD that little girls will love? Well I have a great suggestion for you all, Littlest Pet Shop: Little Pets, Big Adventures. Shout! 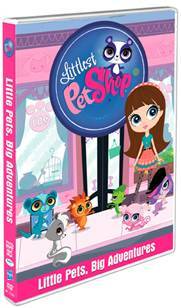 Factory Kids, in collaboration with Hasbro Studios, will release Littlest Pet Shop: Little Pets, Big Adventures , the first DVD collection based on Hasbro’s popular Littlest Pet Shop brand and new animated series . Delivering five fun-filled episodes and captivating entertainment the whole family can enjoy, the DVD will also feature bonus content including coloring sheets and the all-new featurette “A Look Behind The Pet Shop Doors.” Littlest Pet Shop: Little Pets, Big Adventures DVD also includes an offer for a virtual Collectable Pet on the Littlest Pet Shop App, and has a suggested retail price of $14.97. Littlest Pet Shop is an animated half-hour comedy series that follows Blythe Baxter and her father as they move into a Big City apartment above the Littlest Pet Shop store - an amazing day-camp for pets of all kinds including a doggie diva, dancing gecko, a sweet, adorable panda and others. Her real adventure begins when she discovers that she alone can miraculously understand and talk to all of the pets. Blythe joins them on fantastical adventures that include uproarious song-and-dance sequences featuring all-new original music by Daytime Emmy® Award nominee Daniel Ingram and the vocal talent of Ashleigh Ball, Tabitha St. Germain, Nicole Oliver and Peter New. Littlest Pet Shop premieres on Saturday, November 10th on The Hub TV Network in the US. My daughter just loves My little Pet Shop, she has been collecting the cute little critters for a while now and she had quite an army of adorable animal characters. She loves to imagine that she is the owner and manager of the pet shop, it is too cute. So when she heard that she would be able to hold a little party for her friends to watch the new show, she just was giddy with excitement. So she called a few of her school friends and we invited them over for a little get together last night to watch the new show on dvd! I had cookies and popcorn and of course pizza, what is movie night without pizza? This is a great show that is filled with fun music and dancing This new series is sure to make Little Pet Shop more popular than it is now. We watched the Littlest Pet Shop, my daughter especially love the episode Blythe’s Big Adventure. The show was cute, and my daughter loved it. My daughter just loved the little hedgehog, saying it was adorable, and made the cutest noises! So if you are looking for a great dvd for a special little girl in your life make sure to pick up a copy of the Little Pets, Big Adventures dvd. This would make a great Valentines day gift for that special little girl in your life. Little Pets, Big Adventures is available now on Shout Factory. 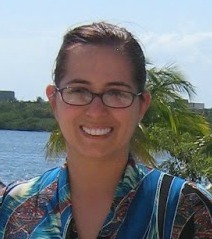 Susan S. Disclosure: The reviews and or opinions on this blog are my own opinions .I received a dvd to review. No monitory compensation was received. I was not required to write a positive review. Your experience may differ. The opinions I have expressed are my own I am disclosing this in accordance with the Federal Trade Commissions 16 CFR Part 255: Guides Concerning the Use of Endorsement and Testimonials in Advertising .